Click here to enjoy a Gallery of Bojt Studio Bentwood Rings… if you see something you like, let us know, we will be happy to handmake a ring of bent wood, just for you! When we receive your inquiry, we will take a break from hand crafting an heirloom ring and reply to you! 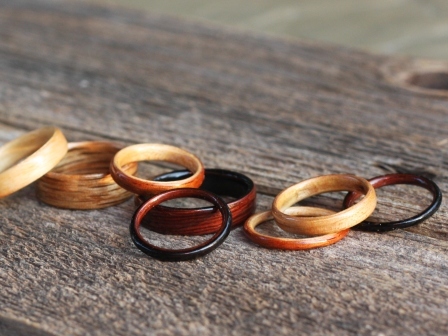 Today is the best day to order a Bentwood Ring from Bojt Studio. Our customers tell us their rings are wearable works of art. Order yours today!